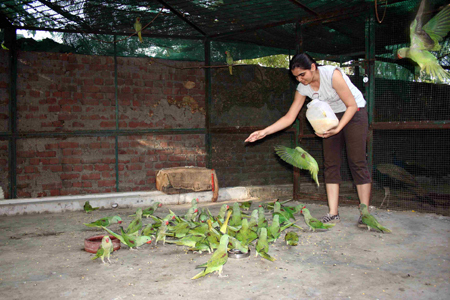 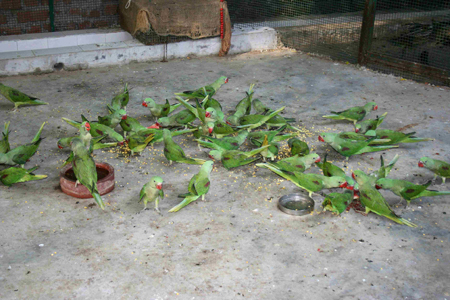 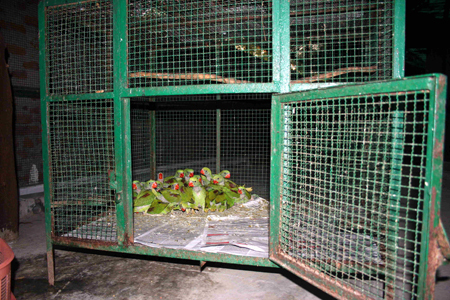 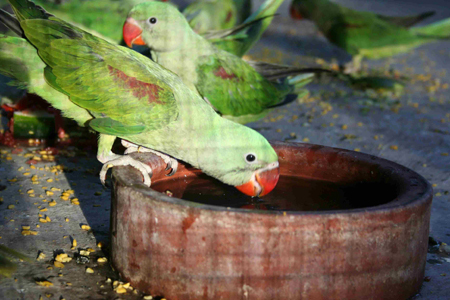 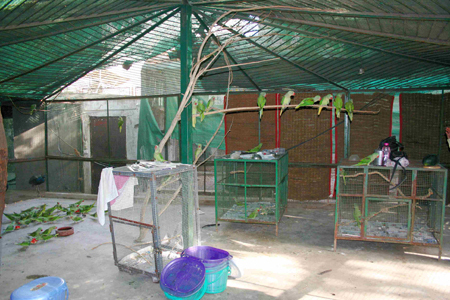 Officials were kept busy on April 15th with a consignment of 74 Alexandrine Parakeet chicks which they confiscated at Ahmedabad, India. 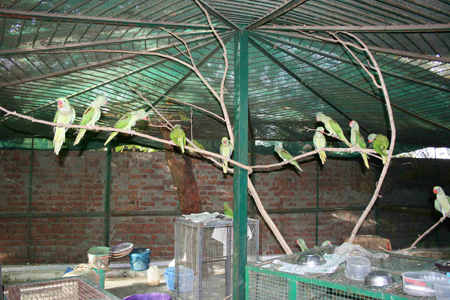 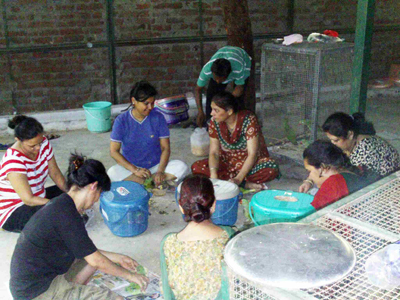 The birds were found housed in small stacked cages, one on top of the other, and then sent to the Van Chetna Kendra aviary run by the rescue group Param Amdavad, in Ahmedabad, Gujarat. 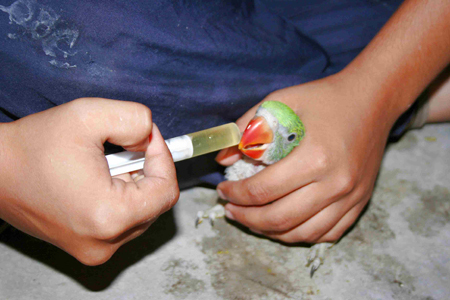 Two of the babies died en route and were found later to be suffering from severe calcium and other nutritional deficiencies, as were many of the other birds still living. 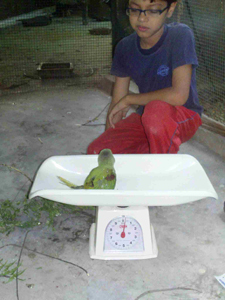 Treatment was begun immediately by veterinarians in the area, and hand-feeding and supplementation started by staff at the aviary. 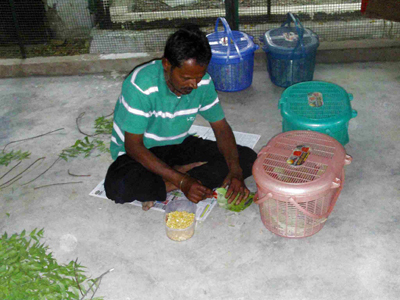 The chicks are now being housed in 4 x 4 ft. clean and comfortable cages. 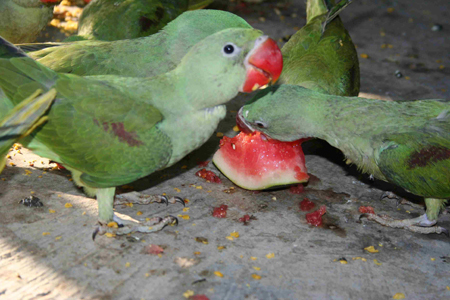 Over the past month the babies have been introduced to fruits and soaked grains as part of their adult diet, and many have begun exercising in a bigger flight. 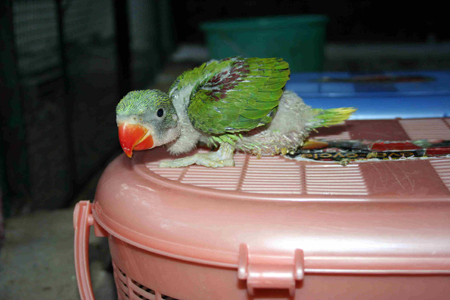 Out of a total of 74 chicks confiscated 68 have survived. 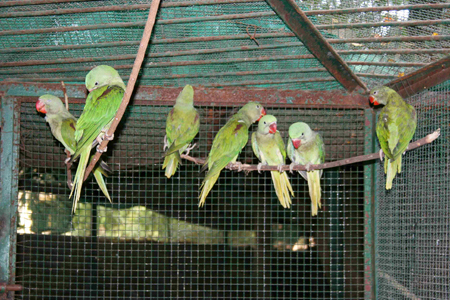 Funding from the World Parrot Trust is on its way to help support these now lucky babies.